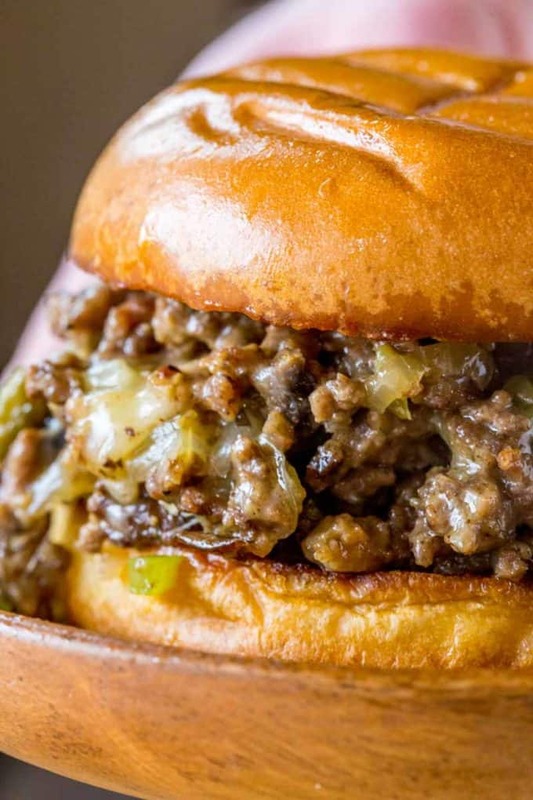 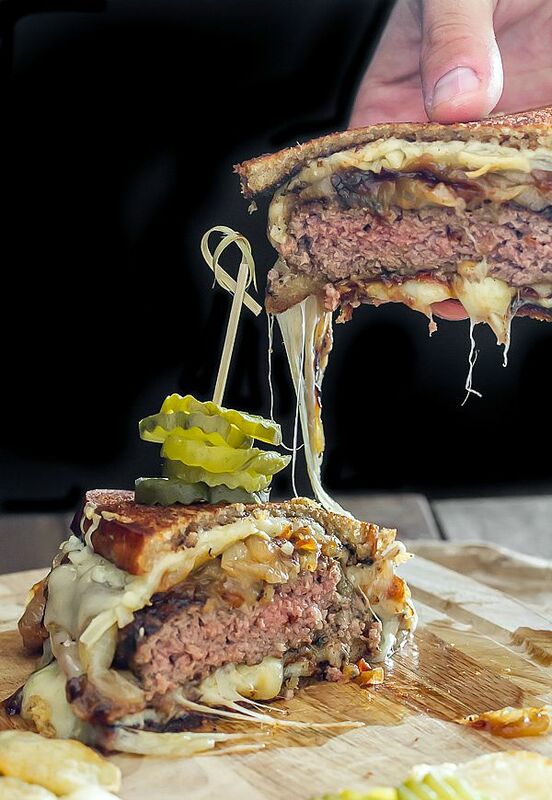 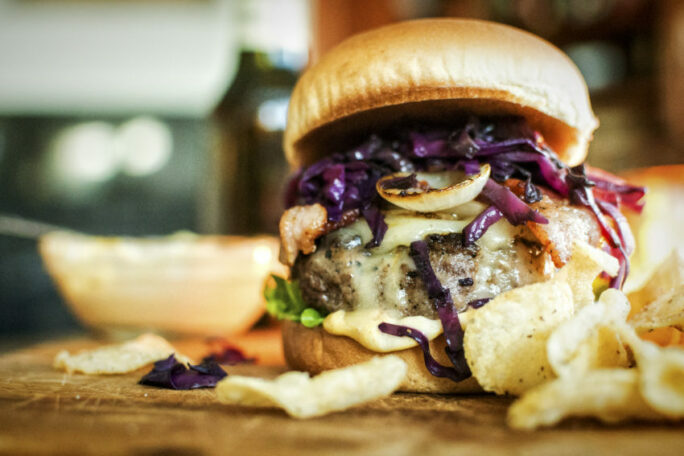 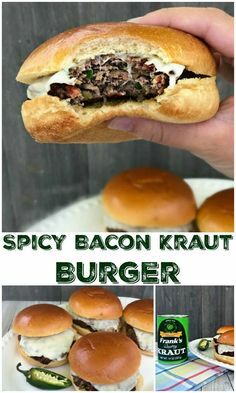 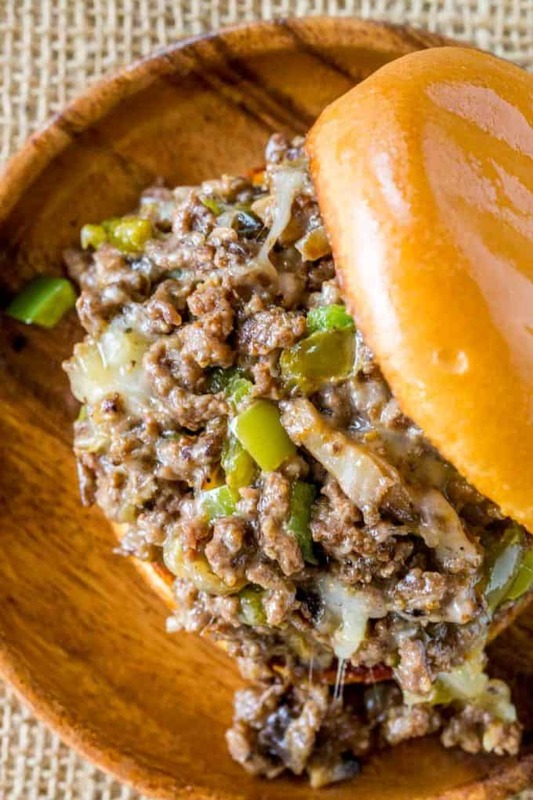 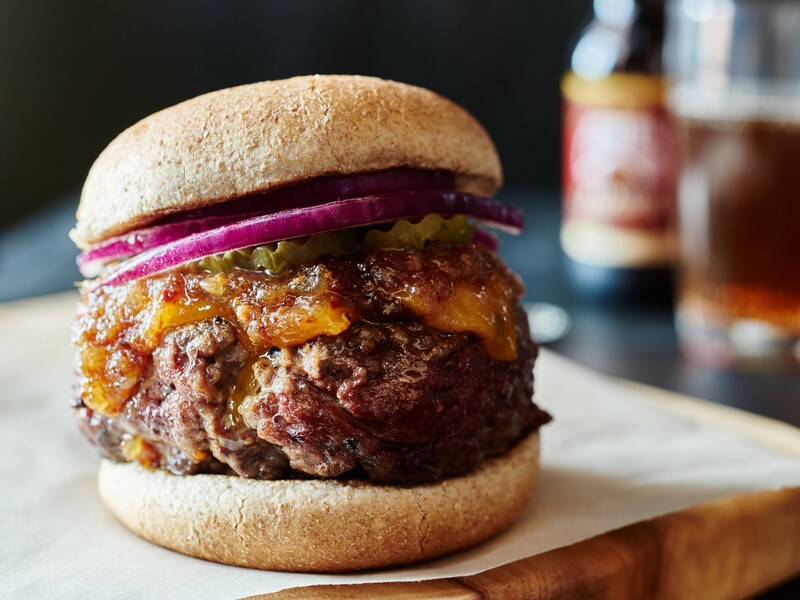 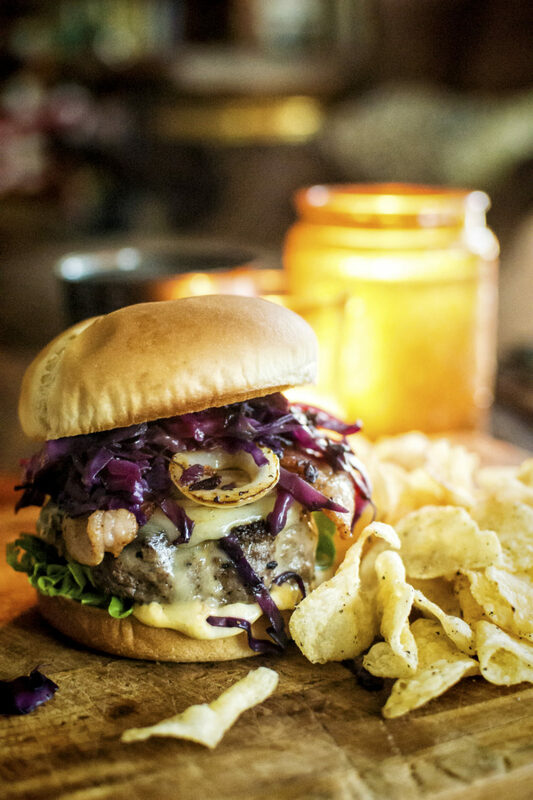 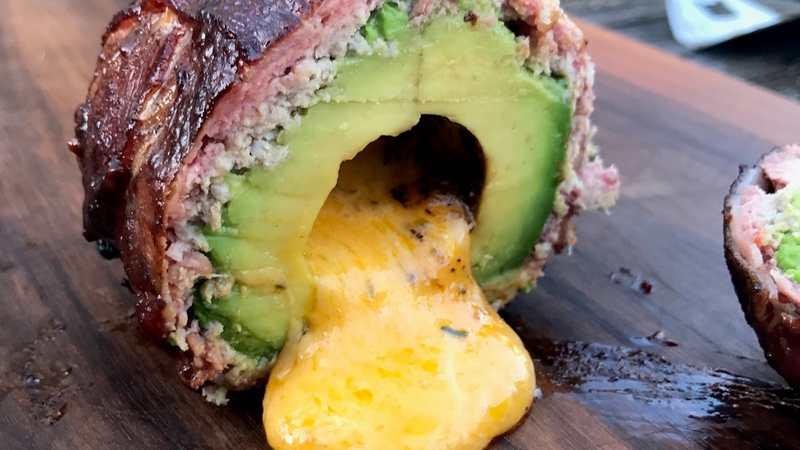 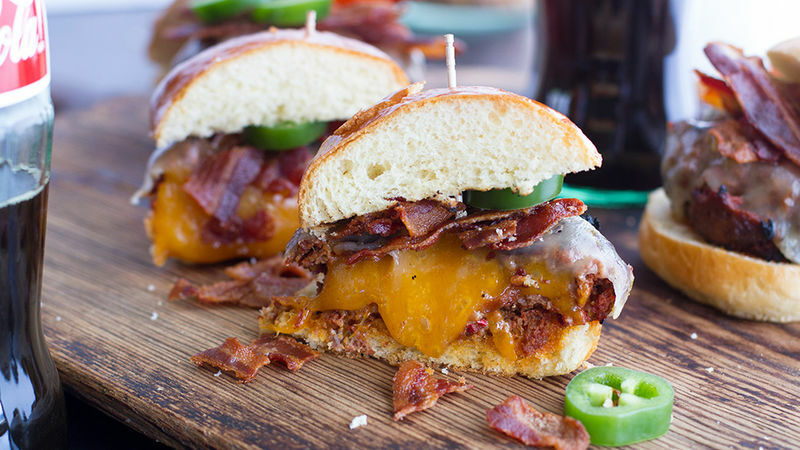 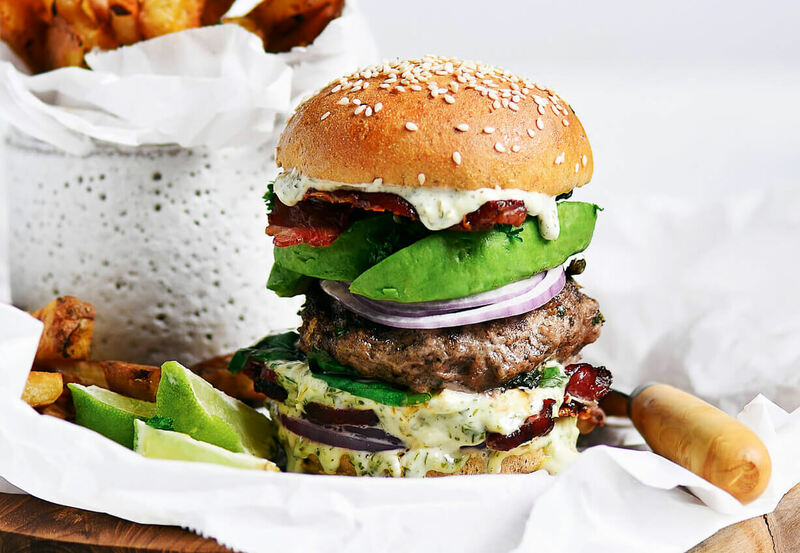 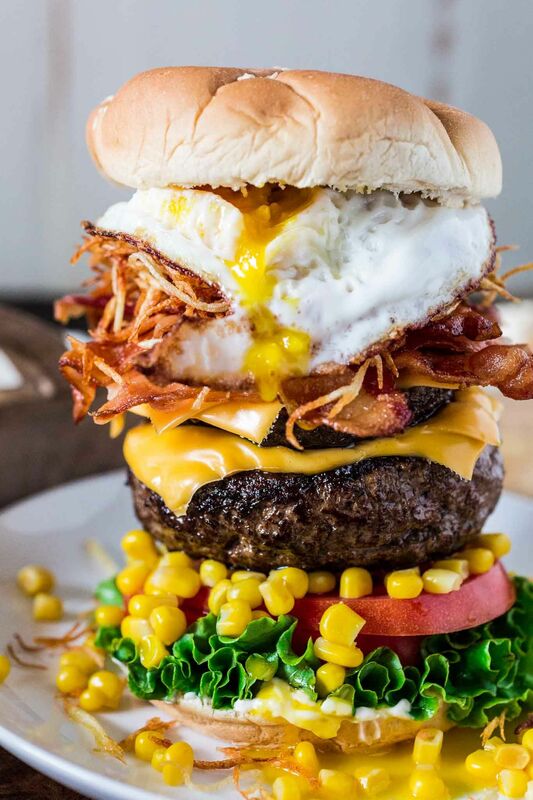 Lean ground beef, smoky bacon, spicy jalapeño, sauerkraut and mozzarella cheese make up this epic burger - think Jalapeño Popper meets Sauerkraut Burger! 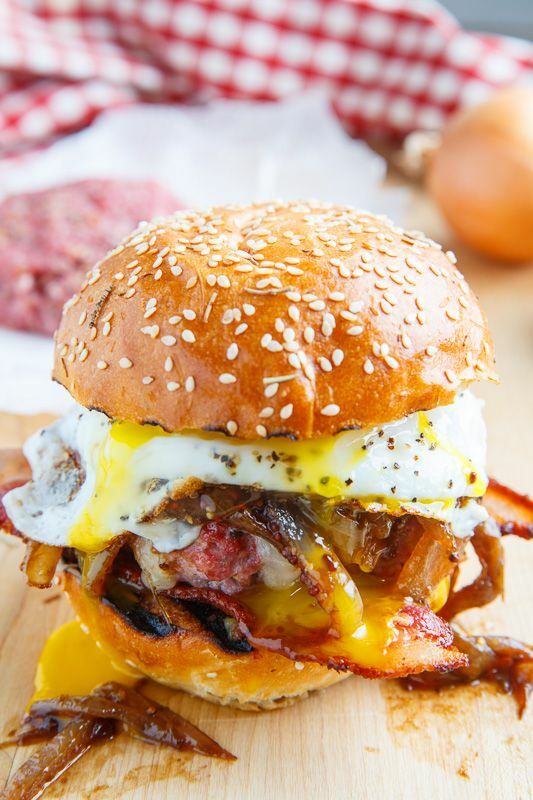 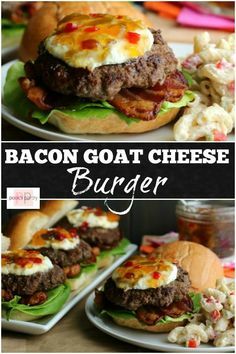 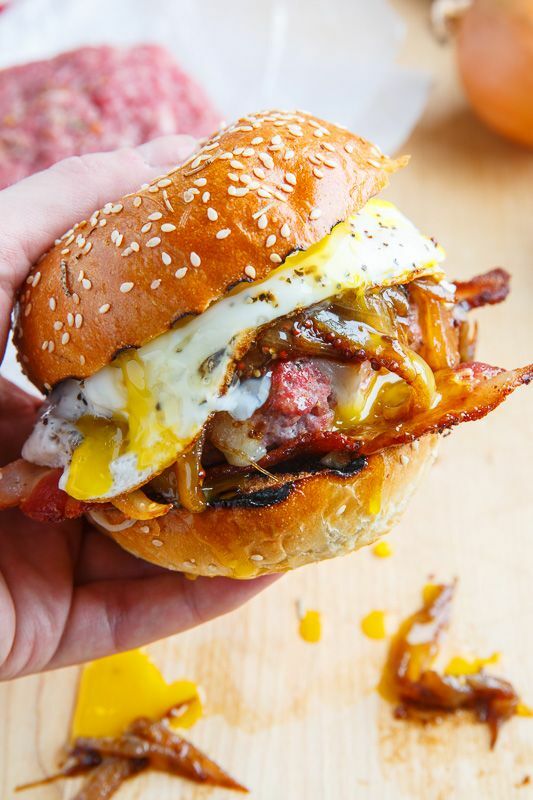 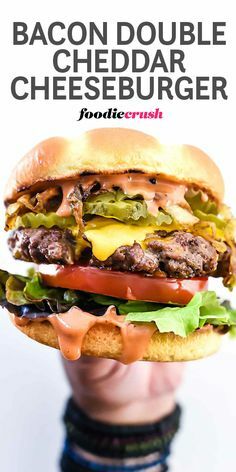 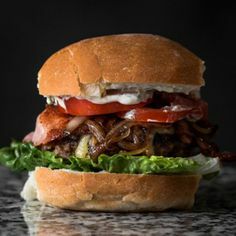 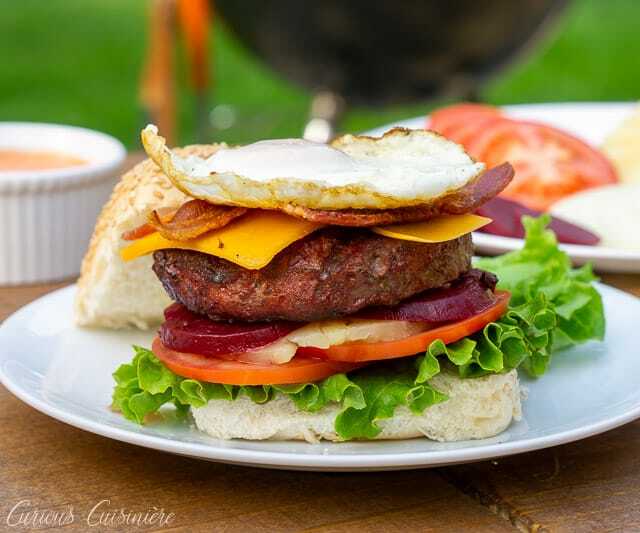 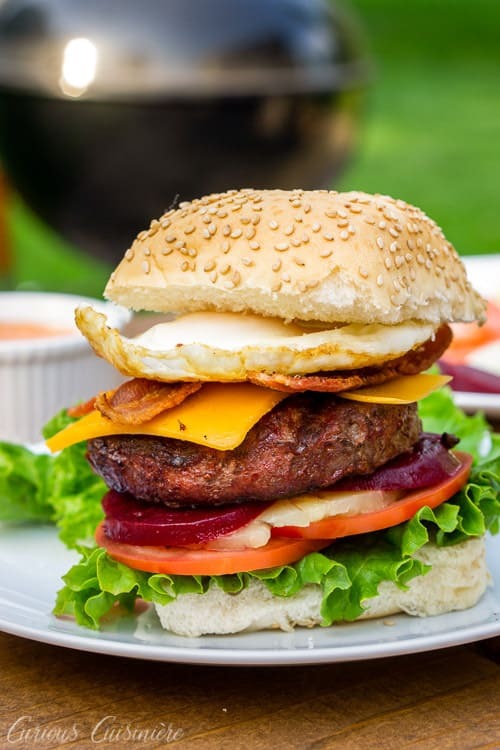 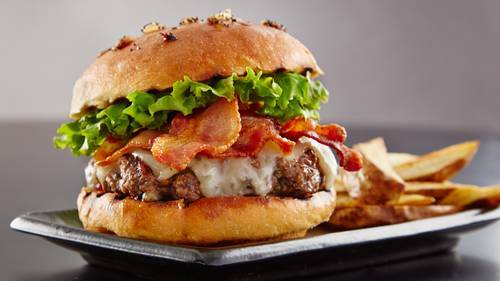 Grilled Steakhouse Bacon Cheeseburger with Sweet Black Pepper Bacon is a burger everyone will fall in love with this summer! 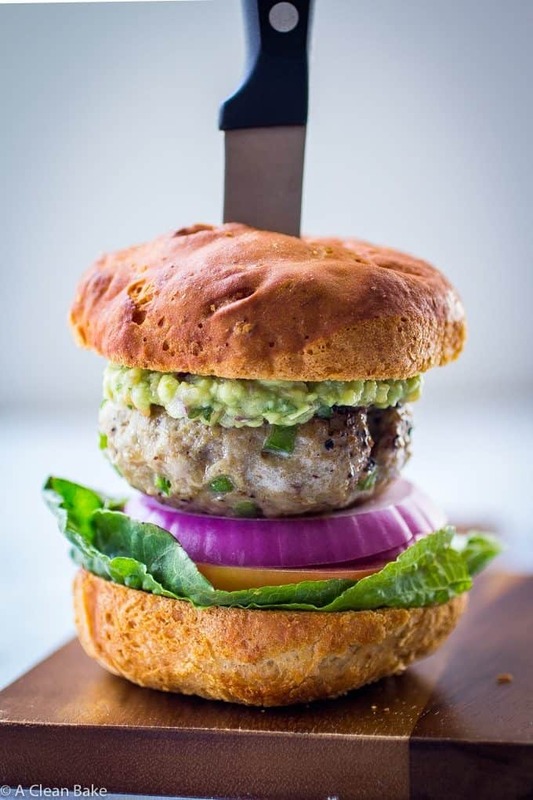 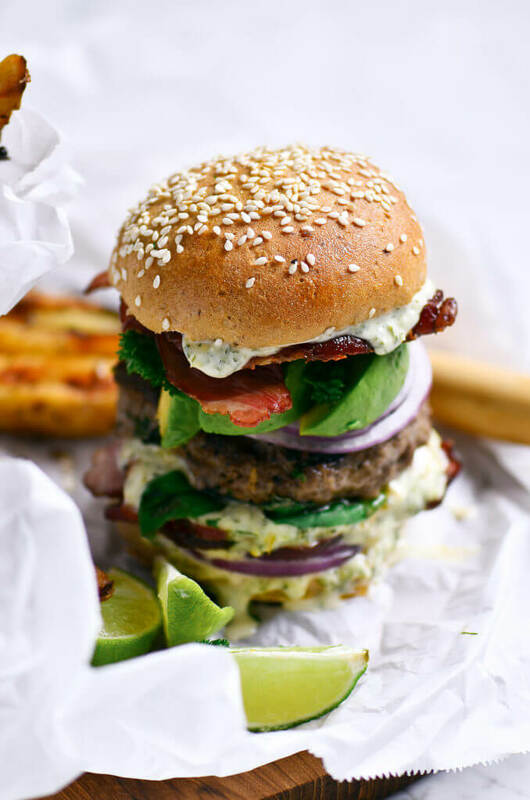 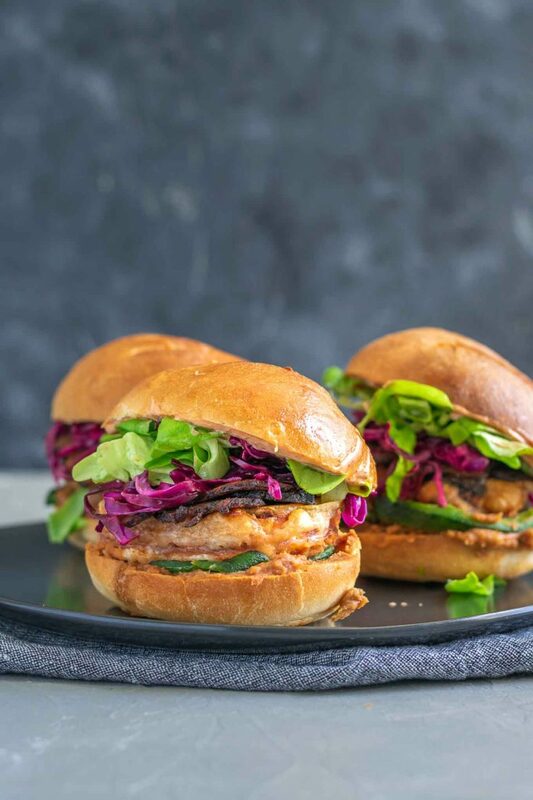 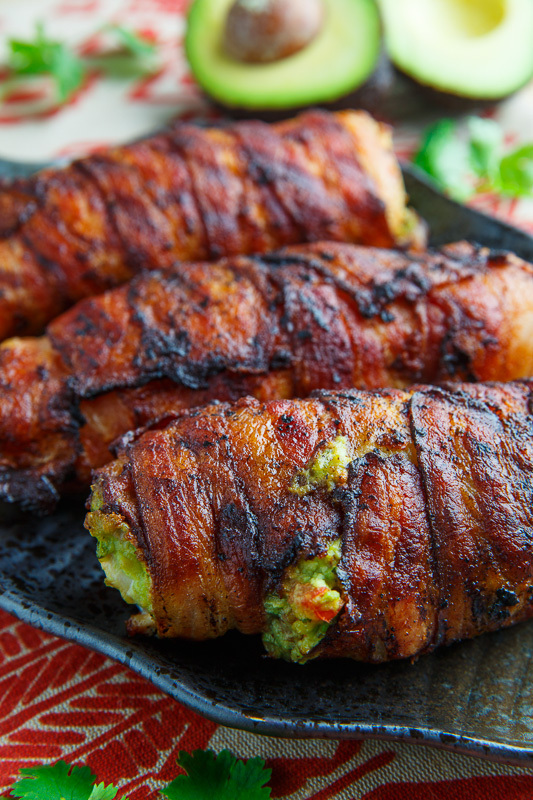 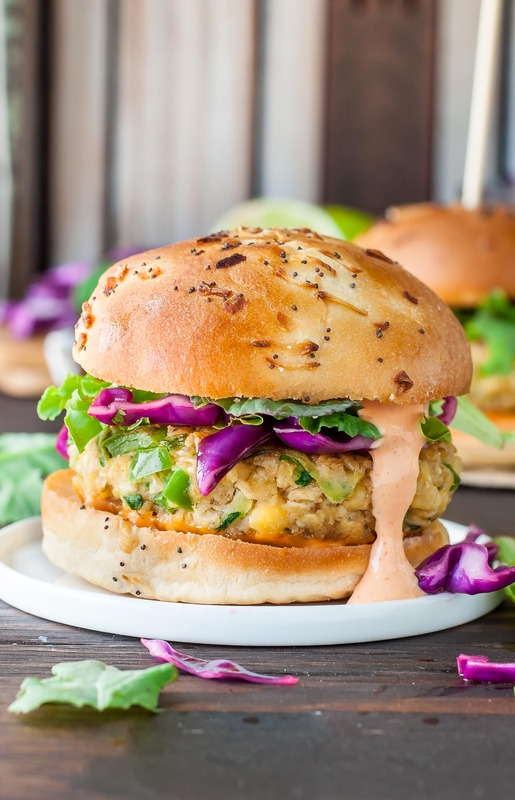 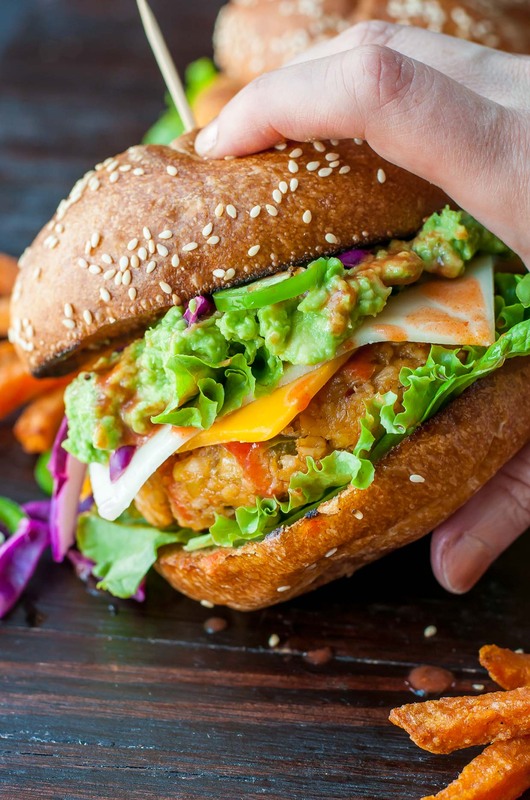 The most delicious LEGIT Paleo bacon avocado burgers! 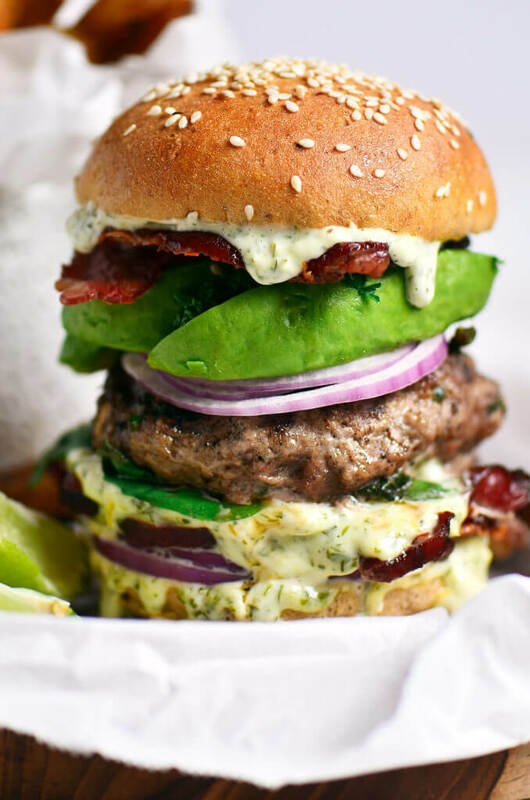 Loaded with fresh basil and garlic. 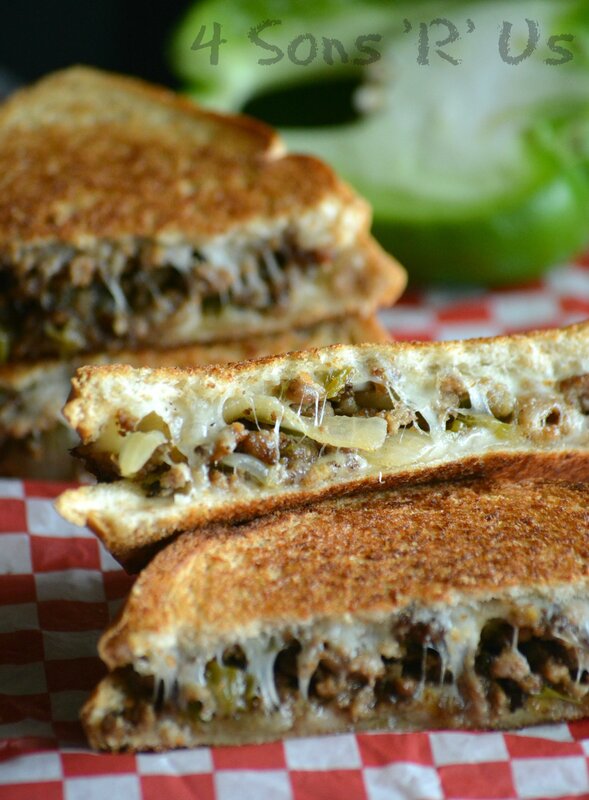 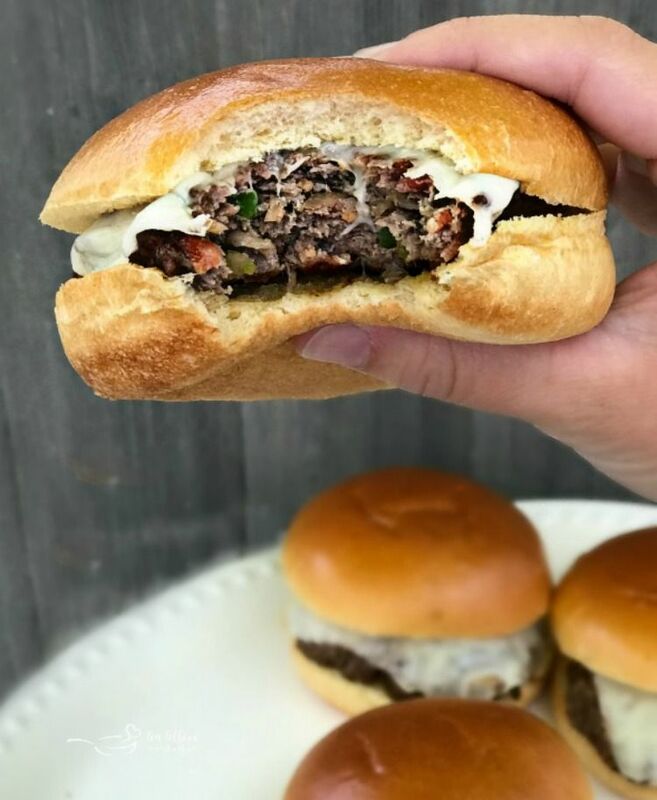 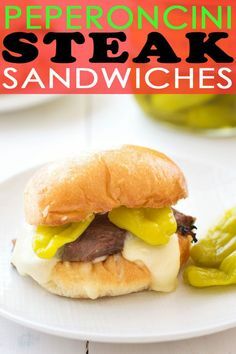 Easy grilled peperoncini beef sandwiches marinated in a zesty pepper sauce, then smothered in mozzarella cheese! 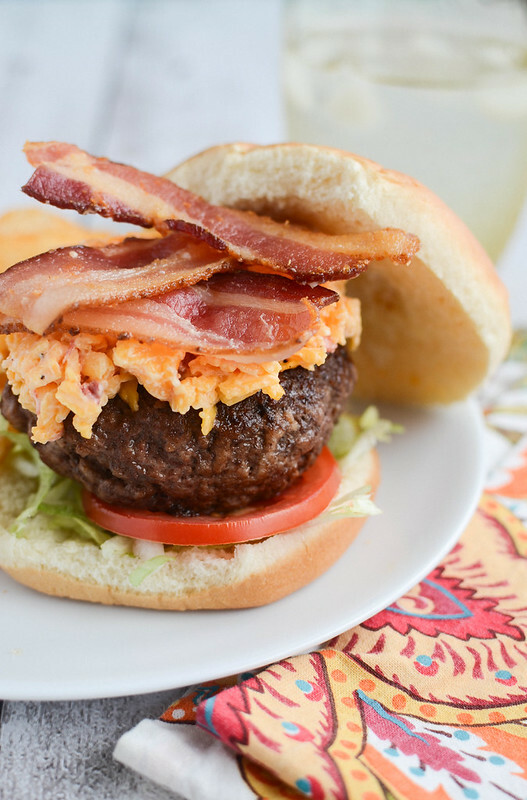 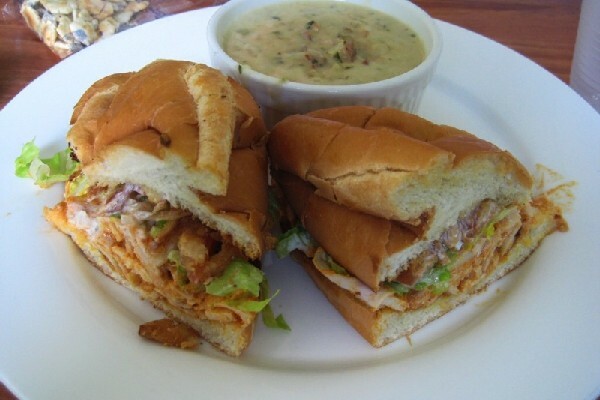 A summer version of the crock pot classic! 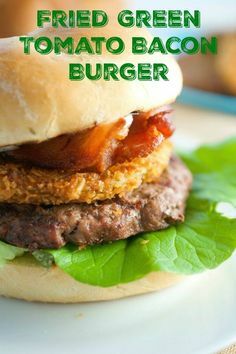 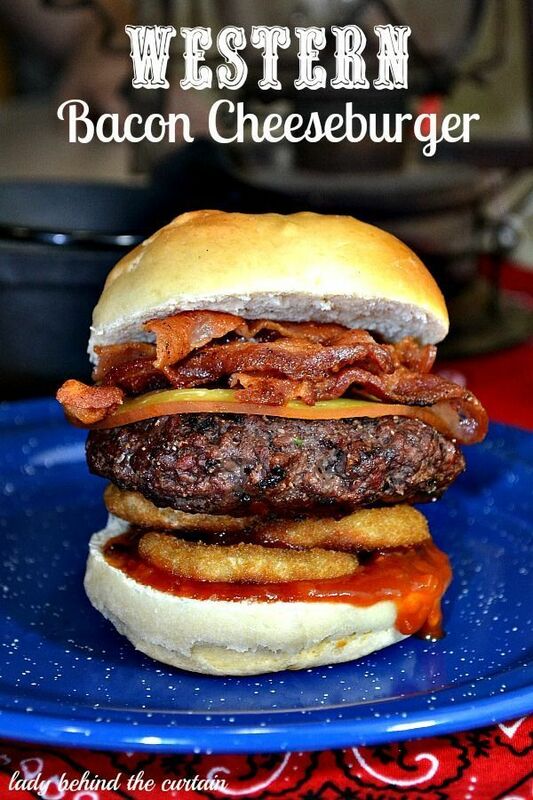 Fried Green Tomato Bacon Burger - This burger gets a southern twist with bacon and a fried green tomato. 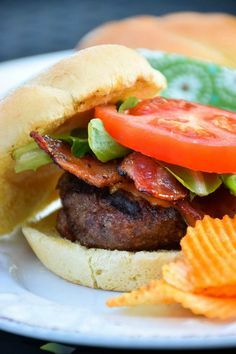 Perfect way to use summer garden tomatoes! 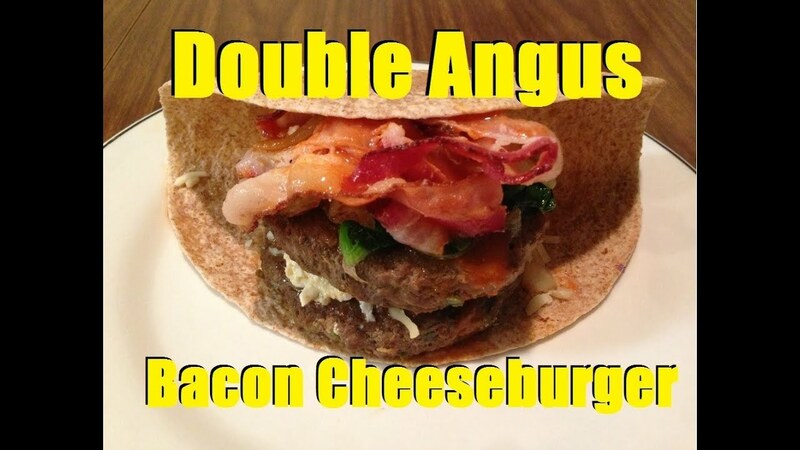 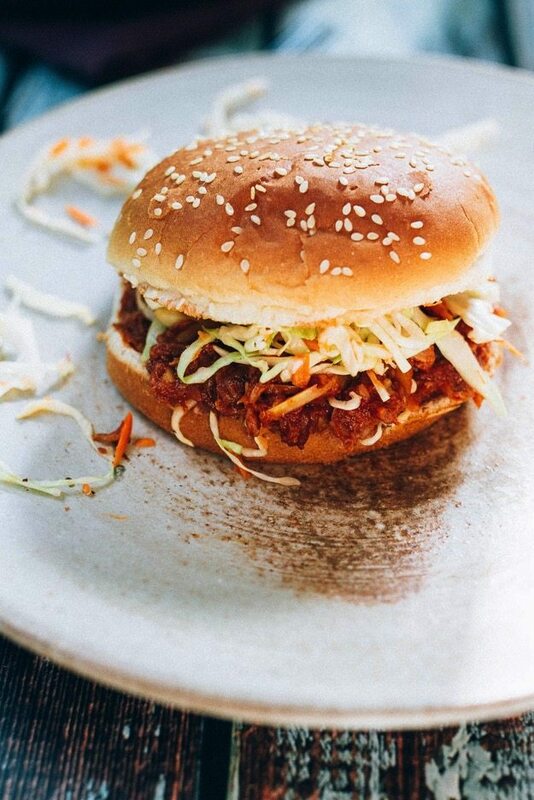 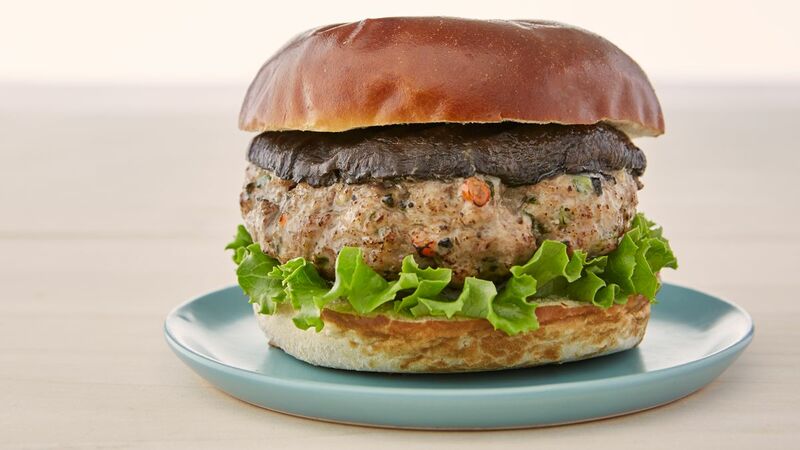 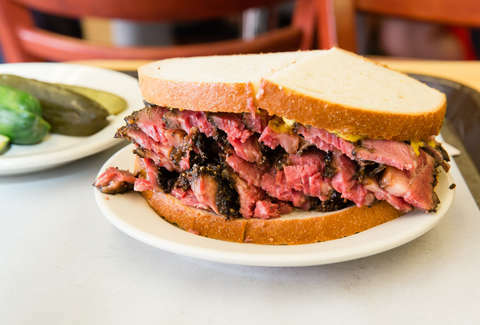 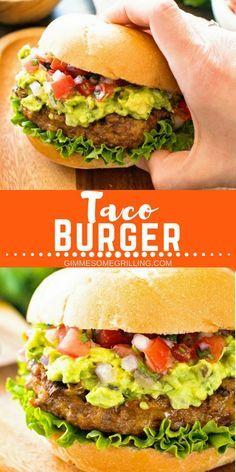 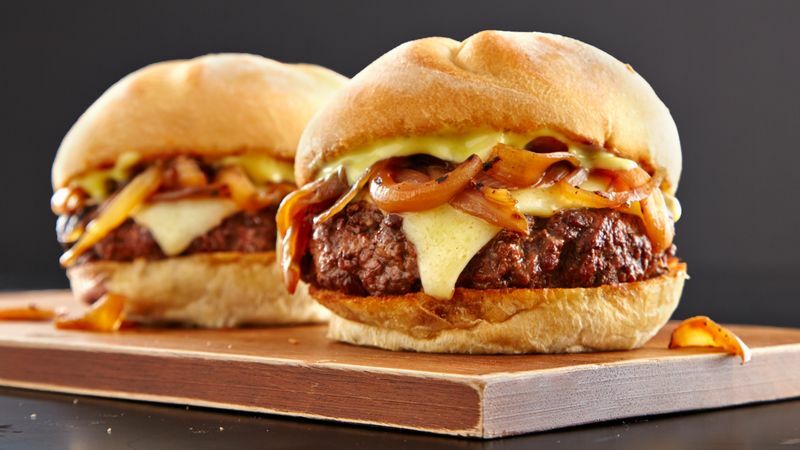 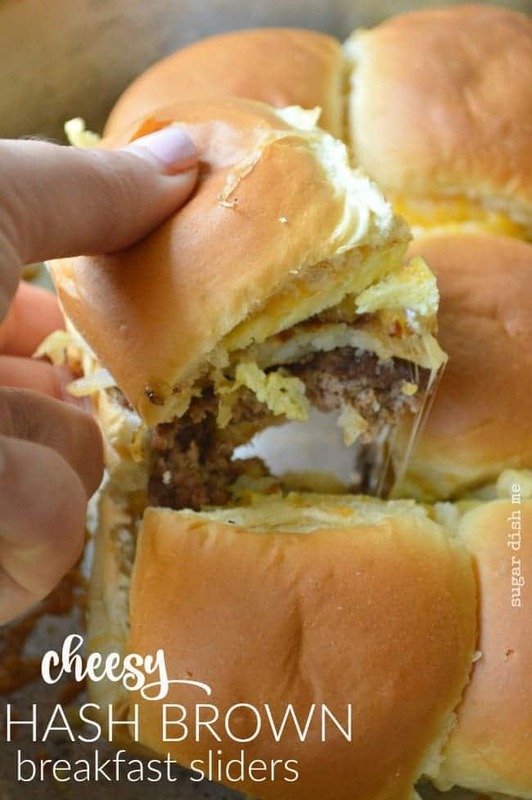 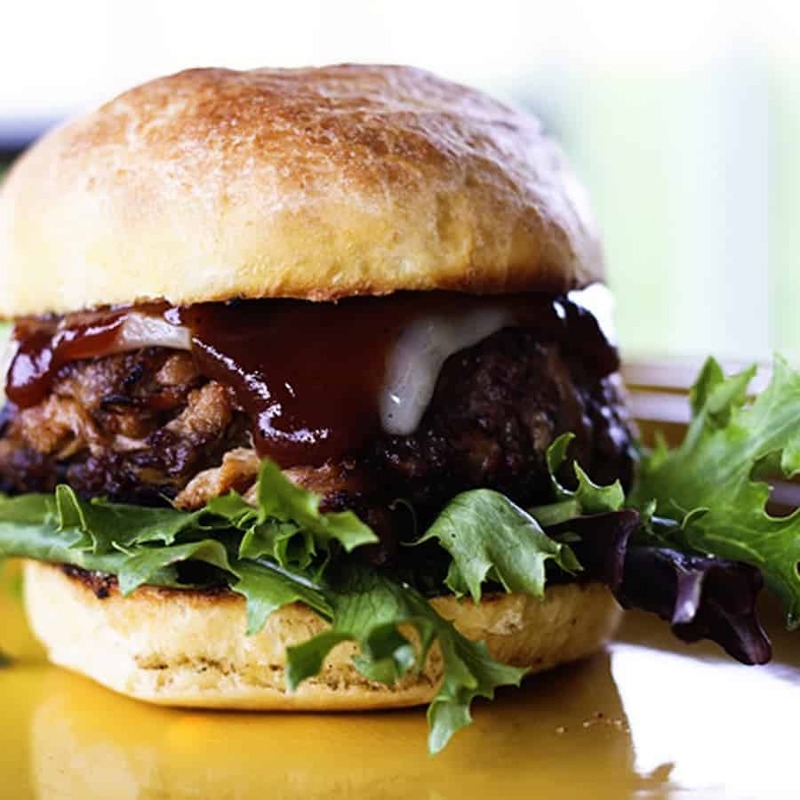 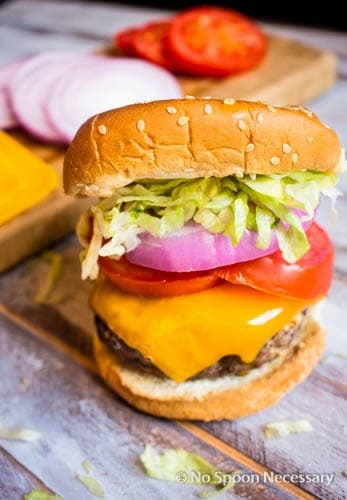 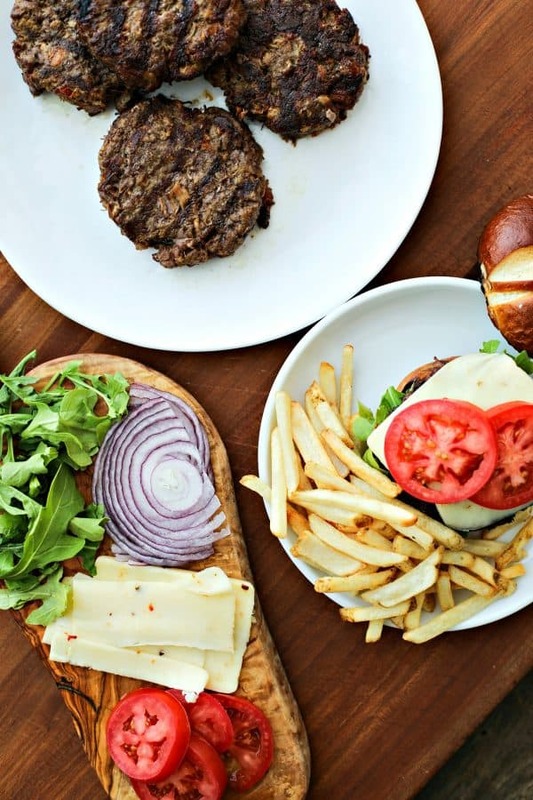 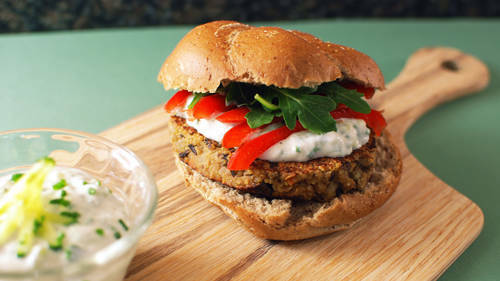 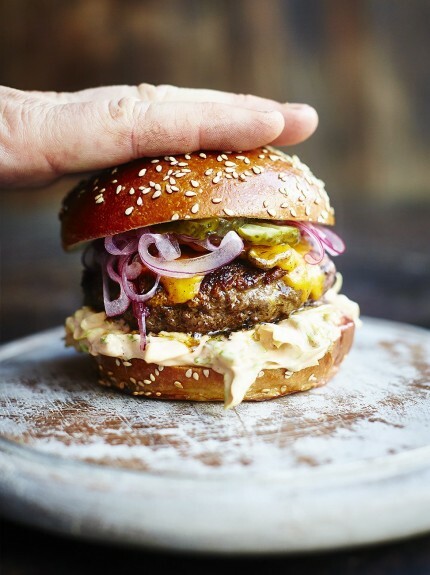 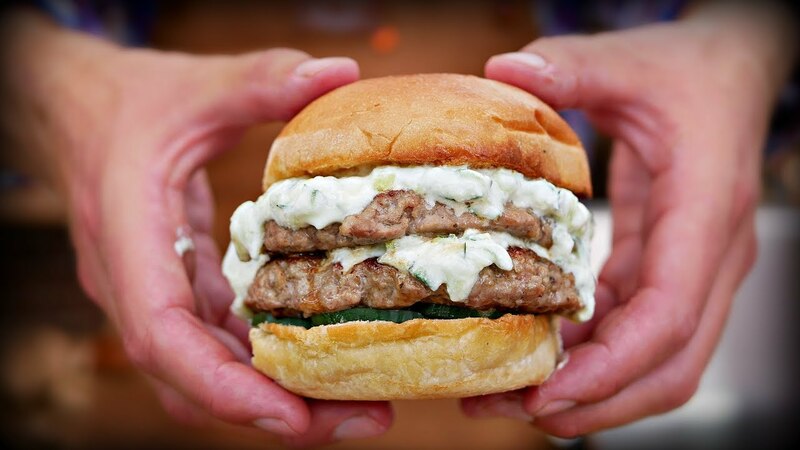 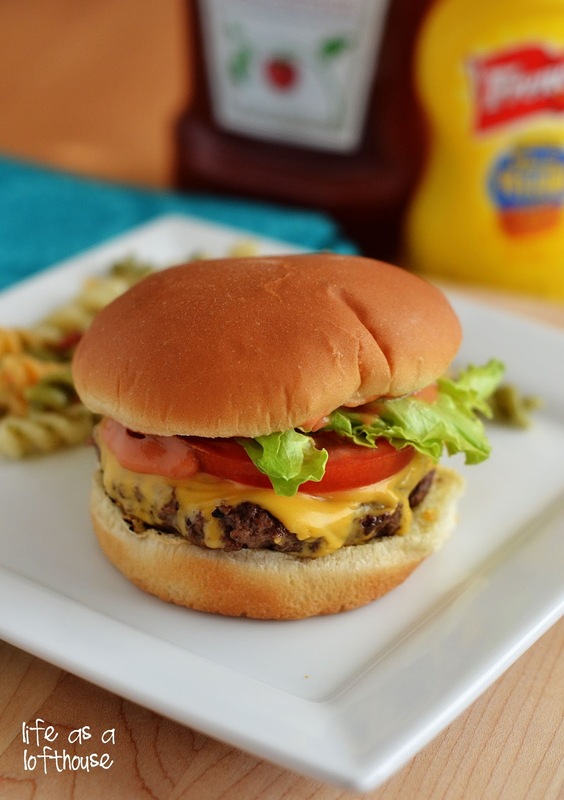 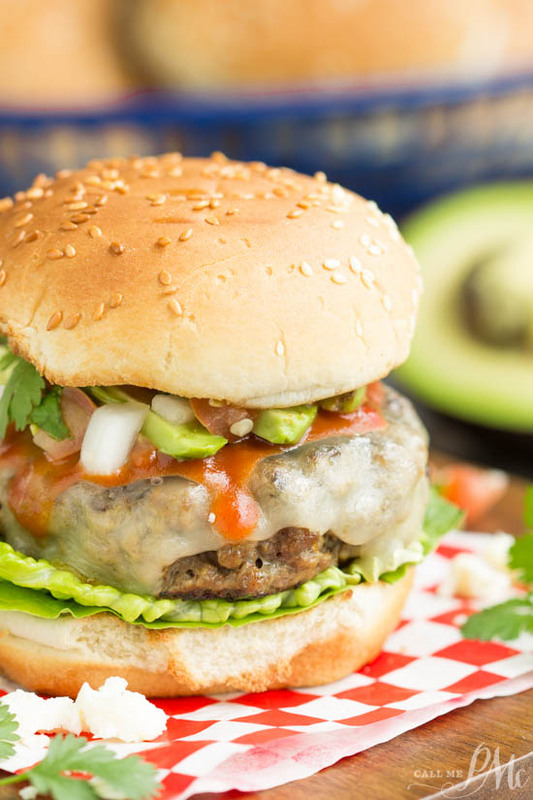 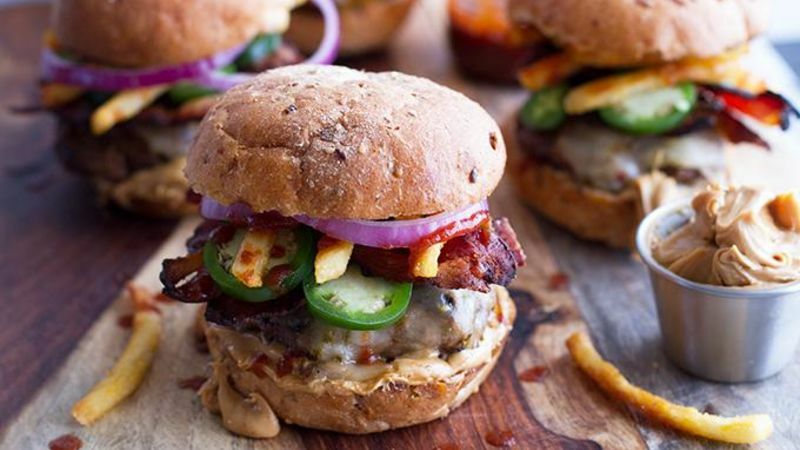 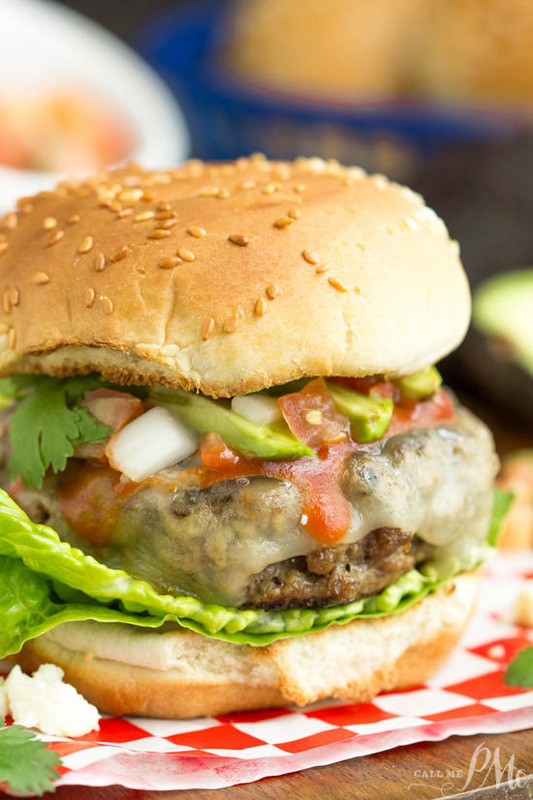 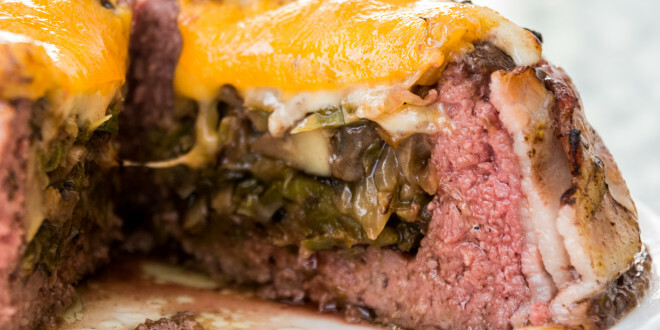 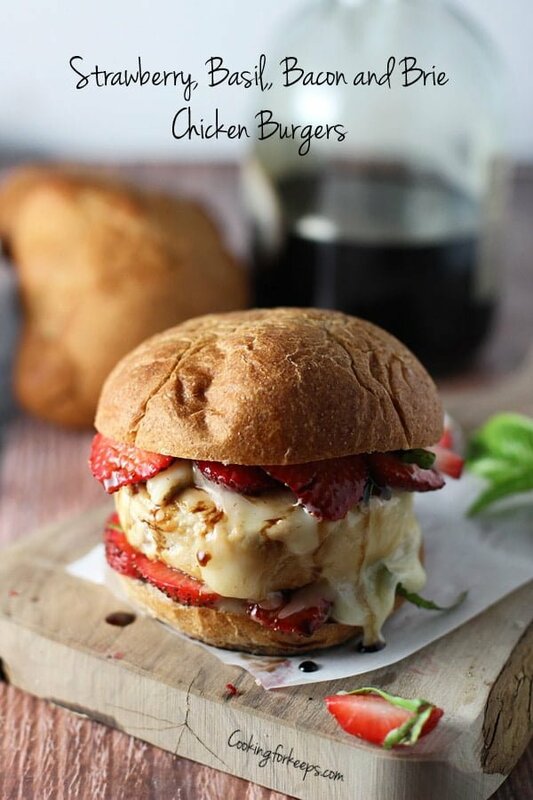 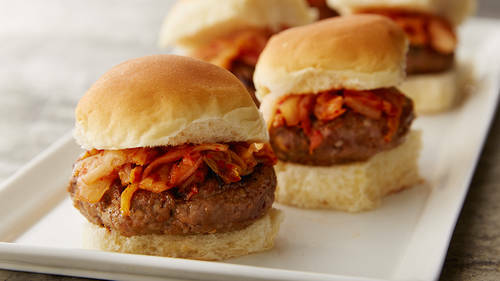 This recipe is good for ANY kind of burger base. 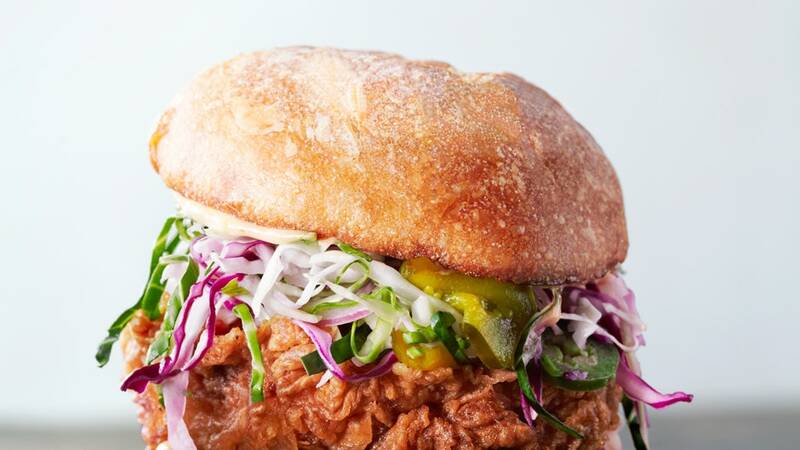 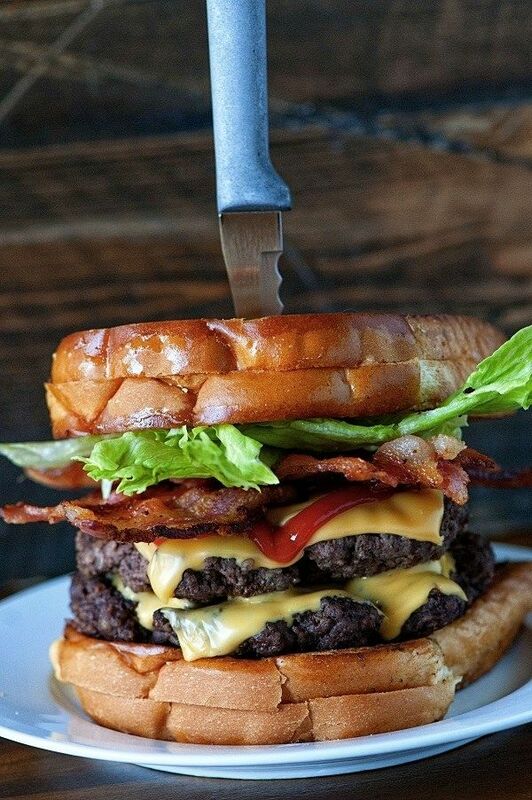 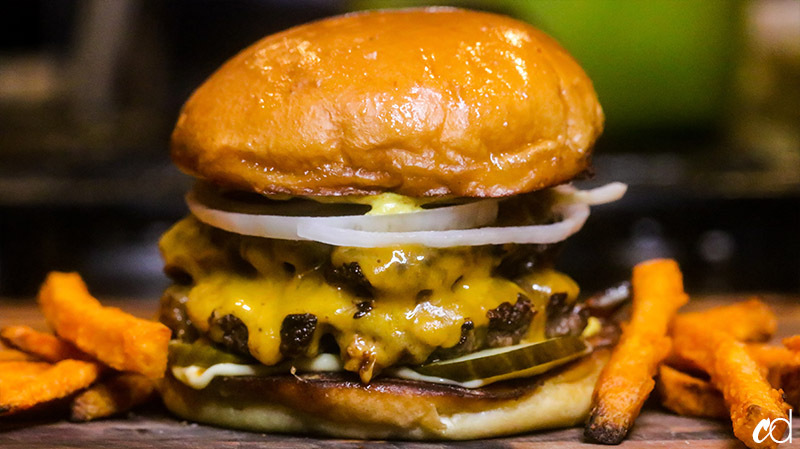 The reason smash burgers are so popular, is because of their signature crust.